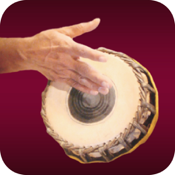 In this app, brought to you by Swathi soft solutions, Mridangam Maestro presents a selection of mora-s and korvais-s, the crown jewel in any percussionist’s repertoire. 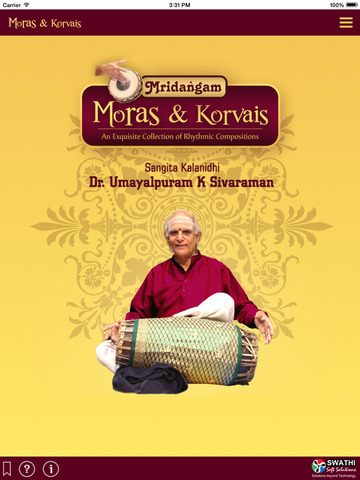 Also included are a selection of mora-s in Adi, Rupaka and Kanda Chapu thalams. 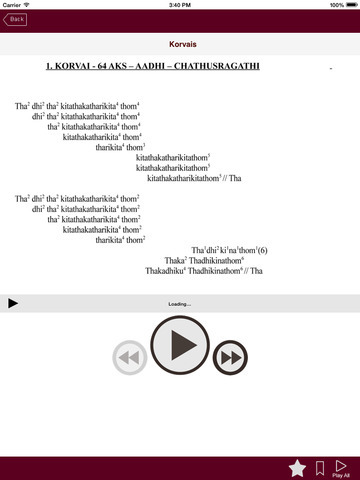 Dr. Umayalpuram Sivaraman then goes on to present an Adi thala korvai in three different gati-s and a segment on matching Mora-s and Korvai-s that have similar rhythmic patterns. 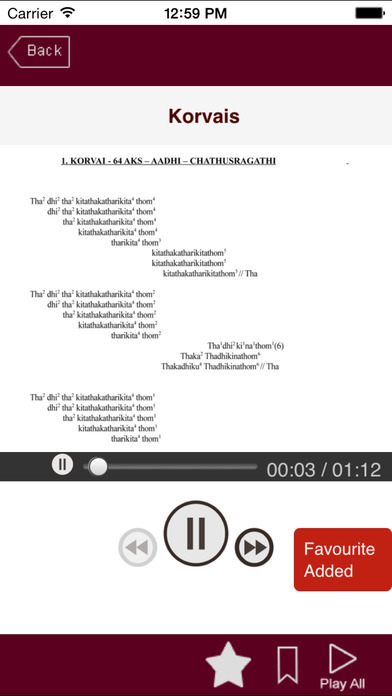 A special inclusion in this App is a rhythmic composition of Dr. sivaraman’s in Sankeerna Dhruvam with 29 beats. 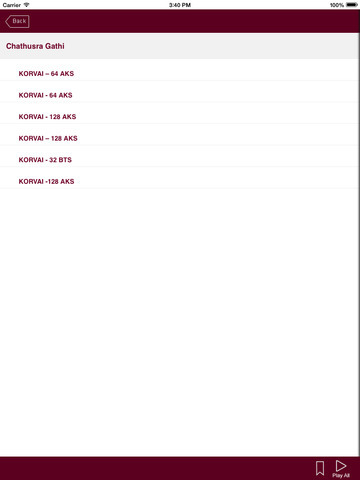 This user friendly app will surely be a valuable addition to the digital libraries of amateur percussionists and more advanced artistes who wish to hone their skills under this master.